PURPLE RAIN (1984): A semi-guilty pleasure with an iconic soundtrack and universal themes, Purple Rain still captures audiences who love a good underdog story, especially when its led by His Purple Heiness. Reel Moment: Easy. The final performance of the title track "Purple Rain." Prince finally gets Appolonia. 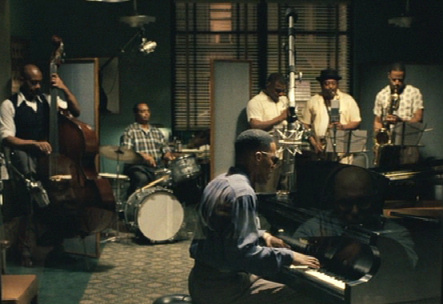 RAY (2004): Not only is Ray fueled by terrific performances, but each musical number further propels the movie in its capturing of key moments in the life and career of Ray Charles. Reel Moment: The argument between Margie (Regina King) and Ray (Jamie Foxx) in the bedroom, which leads to a impromptu performance of "Hit the Road, Jack." LADY SINGS THE BLUES (1972): The dramatic story of music legend Billie Holliday is remembered in a big screen tribute, marked by a stunning portrayal by fellow icon Diana Ross (in an Oscar-nominated performance). 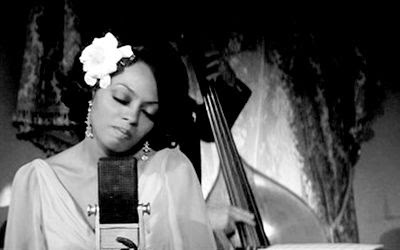 Reel Moment: Ross's crazy great performance of "Strange Fruit." WHAT'S LOVE GOT TO DO WITH IT? 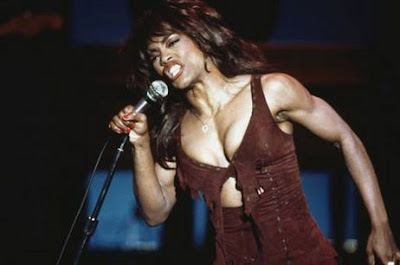 (1993): It would have been easy to call the story of Tina Turner the ultimate scorned woman flick. But with Angela Basett as the rock and roll icon the damsel in distress act went out the window to reveal a compelling, uplifting drama. SPARKLE (1976): The preeminent 70s girl group gets vamped up in a movie so full of drama it would make All My Children blush. The ideals and pitfalls of drugs, abuse, breakups and fame are illuminated by a stellar cast of actresses featuring Irene Cara, Lonette McKee, and Dwan Smith. The perfect harmony and catchy tunes are just an added bonus. Reel Moment: Though the story really revolves around Cara in the title role, it's McKee's heartbreaking performance as Sister that stuns audiences. One of the last times we see Sister in the movie is a crushing scene with Sparkle in their stage dressing room. 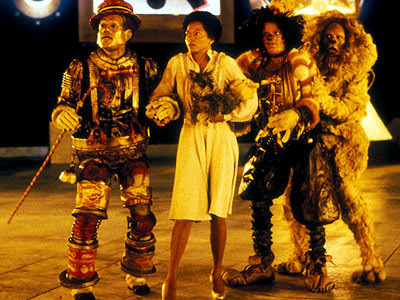 THE WIZ (1978): Even though Diana Ross was well past yellow brick road age and poorly cast as Dorothy, there's no denying the infectious musical numbers throughout, punctuated by the King of Pop's performance as the Scarecrow. It's virtually a two-hour concert with two of the most powerful pop stars decked in theater getup. It's not perfect, but we can't turn away. Reel Moment: Dorothy, Scarecrow and the others skipping along to "Ease on Down the Road" is forever blazed in our heads. SCHOOL DAZE (1988): The neverending debate between the light- skinned college students and their dark-skinned peers is poignantly written, expertly acted and simply compelling to watch on screen. You can tell director Spike Lee was greatly influenced by the old school musicals like Guys and Dolls in several of the combative yet entertaining dance and musical numbers. It is structurally fantastic and awesome to watch. Reel Moment: The Grease-inspired hair salon dance number led by Tisha Campbell-Martin and Kyme is hilarious, fun, and dramatic all at once. Marvelous. THE FIVE HEARTBEATS (1991): Based on a composite of Black male groups from the '60s, The Five Heartbeats gave audiences a backstage pass behind the music--the rotating band members, the drugs, the jealousy, the girls, and the fame. Led by actor/writer/director Robert Townsend, The Five Heartbeats is one of the few movie musicals with a male-driven cast. It's a modern classic. Reel Moment: Pretty much every scene with Leon as J.T., the talented yet drug-addicted ring leader of the group. 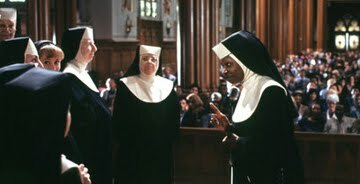 SISTER ACT (1992): Is it really any surprise that this spirited movie musical finally took to the Broadway stage? The story of Catholic school students with golden pipes, whose dreams were only realized by a free-spirited witness to an unrelated crime sounds cuckoo but really works. You almost forget about Whoopi Goldberg's quasi-ridiculous side plotline as the witness because you're in complete awe over this makeshift school choir (led by Lauryn Hill). Reel Moment: That jaw-dropping final performance of "Joyful, Joyful" from Hill and the gang. 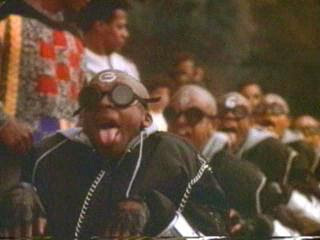 What's Love Got to Do With It, and Sister Act I can definitely watch over and over again. I'd almost argue The Color Purple is a musical, each and every time I hear Shug start to sing, "God Is Trying to Tell You Something," and goes to reunite with her estranged father, my eyes well up. 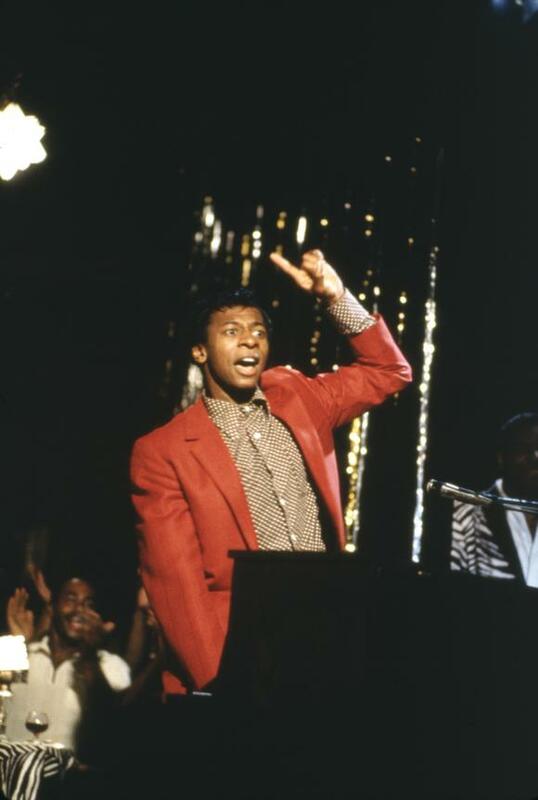 Sparkle brings back memories, but I think the Five Heartbeats is really good. I would love to see more movies from Robert Townsend. 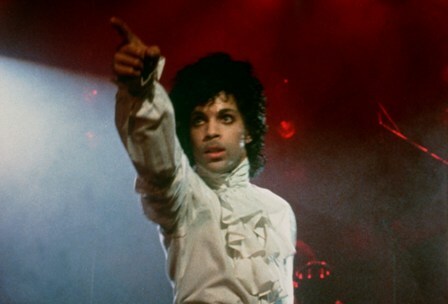 Purple Rain and What's Love Got to do with It are classics, IMO. I've enjoyed the other films the list as well but those 2 really stood out. I'm still kind of shocked Angela Bassett hasn't been offered better roles since then, she's underused by Hollywood.